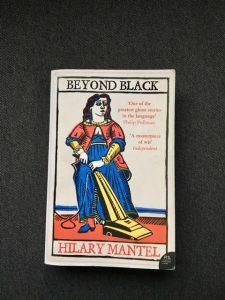 This entry was posted in English Literature and tagged Angela Carter, Backlisted podcast, Beyond Black, Hilary Mantel, Iain Sinclair by Simon Lavery. Bookmark the permalink. Enjoyed this thoughtful piece. E.O. Higgins worked in this vein in his award-winning “Conversations with Spirits” which has the saving grace of being filled with his wit and leavening humor. Mused about your reaction last night, Simon. Made me think that, just like “Rebecca of Sunnybrook Farm” can turn readers off with too much sun, too much darkness (gratuitous?) palls as well. Yeesh. Even in the cement exercise area of the deepest Soviet gulag, didn’t a wild flower push through a crack occasionally? Time for a bracing walk by the cliffs of Cornwall! Enjoy your weekend! There is humour in the novel, but it’s pretty twisted. In a monsoon/gale at present so no cliff top walks today. I read Wolf Hall, another v long novel, and thought it entertaining but not great. Some of her short stories are good – the Margaret Thatcher one is another example of her mordant humour. And I liked this too. 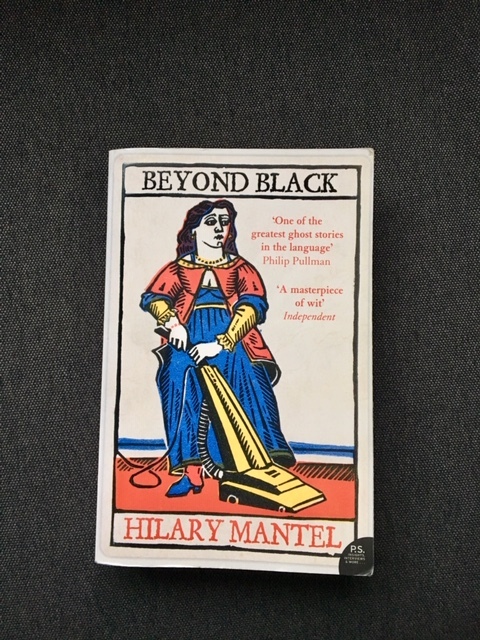 It’s ages since I read it so I can’t remember why, only that it confirmed Mantel as an author whose books I was always going to acquire, one way or another. Karen, I have A Place of Greater Safety on the TBR – you’re right, it is *long*. She’s an excellent writer and there are some brilliant passages in the novel, I just found the relentless nastiness too much. Lately you seem to be dipping into a number of books I’ve had on my shelves, unread, for some time. This one, in preparing for my recent move was finally tossed into the “Donate” bin. Wisely I would guess, judging by your assessment! I read this novel several years ago after hearing Alison Steadman (whom I love) reading a couple of excepts from it on Radio 4. (It must have been in their Book of the Week or Book at Bedtime slot at the time.) Anyway, I really didn’t like the book and very nearly gave up on it at one stage. While the details are very fuzzy now, I do recall it being rather twisted.